News of the debt ceiling is front and center as the debate grows over whether Congress will or won’t raise it before October. What’s special about October? 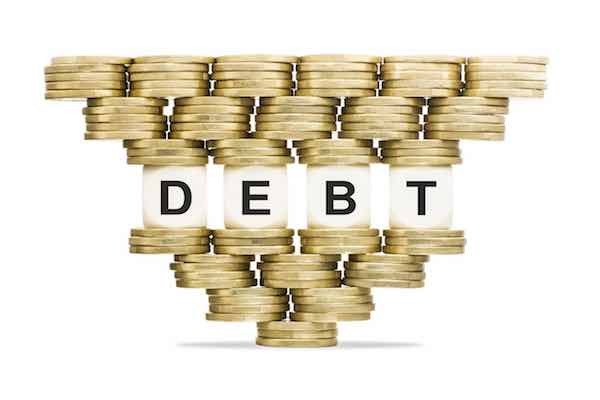 The Congressional Budget Office (CBO) said recently that the government will run out of money without an increase in the debt limit sometime in October. The debt limit (A.K.A. the debt ceiling) is the maximum amount of debt the Department of the Treasury can issue to the public and to other federal agencies. That amount is set by law and has been increased over the years in order to finance the government’s operations. The debt ceiling has always been raised in the past, so what is different about the debate this time? The White House has called for a “clean” increase in the debt ceiling, meaning doing it with as little strings attached as possible. Office of Management and Budget Director Mick Mulvaney said in a press conference recently that a debt ceiling increase should be tied to a continuing resolution that funds the government past the end of the fiscal year on September 30th to prevent a shutdown. This is combined with the fact that Congress has a short window in which to get it done; it will only be in session for 12 days prior to the end of the government’s fiscal year. Taken together, these things create the potential for a government shutdown and/or not raising the debt ceiling before the October deadline. In order to avoid hitting the debt ceiling, the Treasury Department can take what it refers to as “extraordinary measures” and it has been doing so since March, at least insofar as federal employees are concerned. One of these “extraordinary measures” the Treasury Department is using to offset the debt ceiling is to borrow from the Thrift Savings Plan’s G Fund. As we have written in numerous articles before, this is an accounting gimmick the government uses to buy more time before hitting the debt ceiling. The Treasury Department suspends reinvestment into the G Fund (reinvestments normally happen daily) and the money is then put back into the G Fund (with interest) after the debt ceiling is raised. This has happened many times in the past when the government was bumping up against the debt ceiling. We receive many comments and emails from our users asking how the government is allowed to do this and expressing concern about the stability of the G Fund as a result. What Happens to Your TSP Funds If the Debt Limit is Not Raised? What Happens if the Debt Ceiling Isn’t Raised? So what happens if the debt ceiling isn’t raised? That probably depends on who you ask. …the Treasury will not be authorized to issue additional debt that increases the amount outstanding. (It will be able to issue additional debt only in the amount of maturing debt or the amounts cleared by taking extraordinary measures.) That restriction would ultimately lead to delays of payments for government programs and activities, a default on the government’s debt obligations, or both. Based on comments and emails we have seen from our readers, there apparently is concern among current and former federal employees that their money in the G Fund could disappear. The TSP would presumably disagree with this notion based on the statement mentioned above. Still others warn of potential “disastrous consequences” including the federal government defaulting on its debt payments, a stock market crash, and/or a downgrade of the United States’ credit rating. Perhaps a more practical and less emotional answer is that nobody really knows what would happen since the debt ceiling has always been raised in the past and it has never before been an issue.